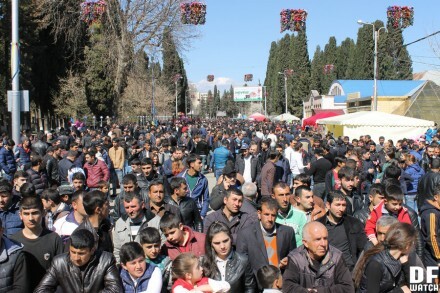 MARNEULI, DFWatch–Hundreds of people celebrated the coming of spring in the city of Marneuli, populated predominantly by ethnic Azerbaijanis. 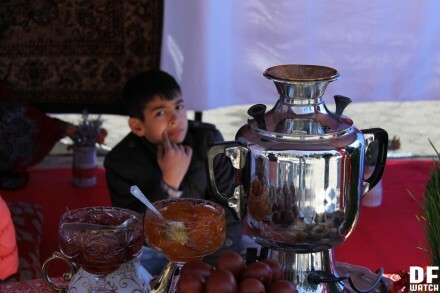 Nowruz (Novruz bayramı in Azerbaijani) is a major holiday of Persian and Zoroastrian origins, celebrated nowadays across the region by representatives of different faiths and cultures. It marks the beginning of a New Year in the Persian calendar. 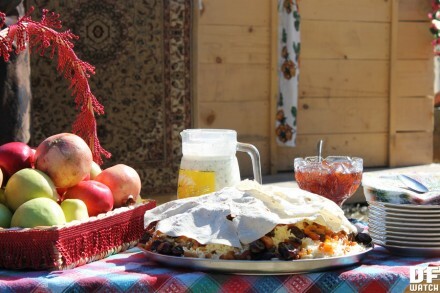 It is one of the most important holidays in Azerbaijan, where it’s celebrated for seven days as an official public holiday. 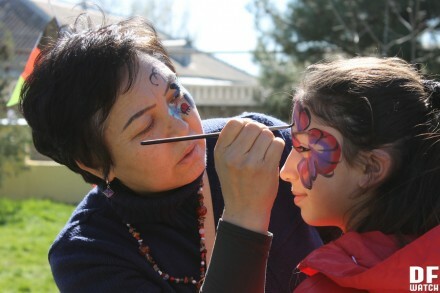 In 2010, then President Mikheil Saakashvili declared Nowruz a national Georgian holiday as a nod to the country’s Azerbaijanis — the largest ethnic minority constituting 6.5% of the population. 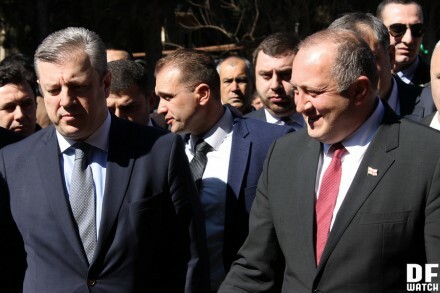 This year, both President Giorgi Margvelashvili and Prime Minister Giorgi Kvirikashvili visited Marneuli in order to take part in traditional festivities. ‘Today I’m celebrating the joy of a New Beginning together with people who build our country’s future. You are the people who have strengthened our state for decades. 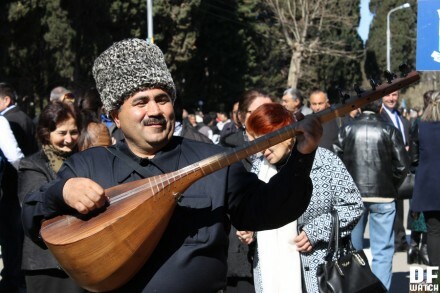 The whole Georgian nation is celebrating this day together with you, because we are one people, one country, and we’re happy to share each other’s traditions and joy. It is important to strengthen the integration of our dear Azerbaijani citizens. It is important for everyone to know Georgian well in order to build our country together. A citizen who knows the state language will know their rights and will be able to defend them. 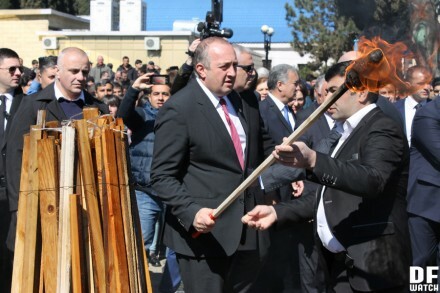 In the election year, it is important for you to be active — not only as voters, but also as candidates who will contribute your own ideas to the political process’, president Margvelashvili said during his speech. 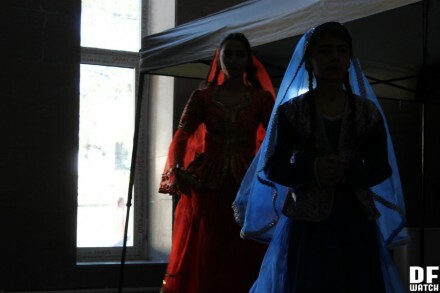 A concert of traditional Azerbaijani and Georgian music with dances took place during the festivities. 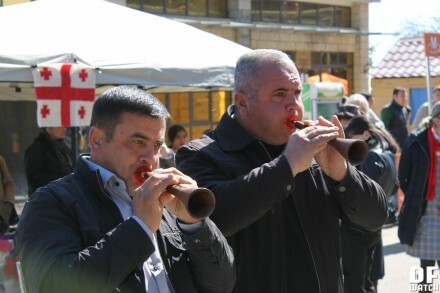 Everyone could also visit pavilions set up by municipalities of Kvemo Kartli region with food and exhibitions of traditional crafts. 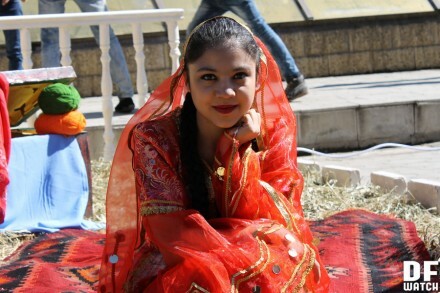 Local children and youth took part in art workshops and sport competitions.